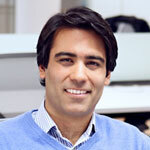 Divya Narendra is the CEO & founder of SumZero, which is the largest online community of buyside analysts in the world with over 4,500 analysts and PMs as members. Every major hedge fund, mutual fund, and private equity fund is represented in SumZero’s membership. Prior to founding SumZero, Divya was an Associate at Sowood Capital Management and an M&A analyst at Credit Suisse Securities. Divya graduated from Harvard College in 2004 with a degree in Applied Mathematics where he also co-founded ConnectU, a predecessor to Facebook. Divya, along with his roommates, originated the social network idea at Harvard that led to the founding of Facebook by Mark Zuckerberg. The character of “Divya” is played by actor Max Minghella in the David Fincher-directed film, “The Social Network,” which chronicles the genesis of Facebook. Divya is also currently a JD-MBA candidate at Northwestern Law School and the Kellogg School of Management.